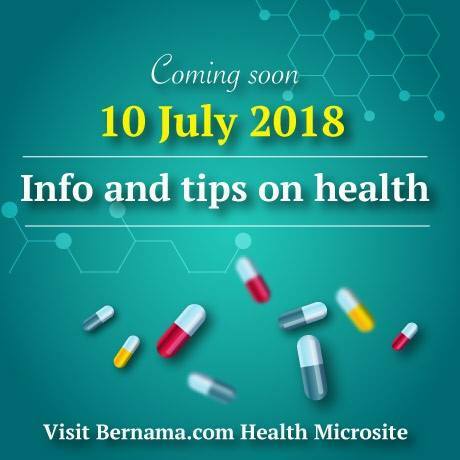 KUALA LUMPUR, July 9 (Bernama) — The Malaysian National News Agency (Bernama) will launch a dedicated microsite on health tomorrow on its official website, Bernama.com. The site will provide a gateway to simple and informative news on health and wellness matters. Universiti Malaya Specialist Centre (UMSC), an established player in the healthcare industry, will be instrumental in supporting this segment with Bernama to create and promote public awareness of the importance of health and well-being in their daily lives. UMSC chief executive officer, Azhar Harun said, “We are proud to play our role as the key strategic partner in sharing our expertise in health and medical content with Bernama through this special microsite. Health can represent a challenge for our society. UMSC is an integral part of the premier faculty of medicine, Universiti Malaya and its medical centre. The centre is renowned for its medical expertise in managing patients, medical research and training of doctors. 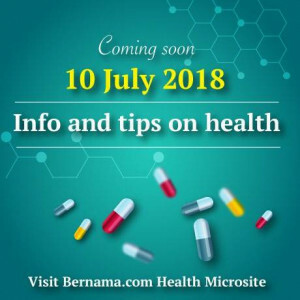 Key highlights of the microsite include exclusive interviews with UMSC medical specialists on topics such as cancer, heart disease, liver disease, low-back pain, bone and joint issues, and diseases specific to men and women. Also available are health and wellness tips for a healthy lifestyle.